“Young Sheldon”, a prequel to “The Big Bang Theory”, has officially been confirmed by CBS and we’re super excited to look into Sheldon Cooper’s childhood. Here at the Stremio HQ, we’re big fans of The Big Bang Theory and as you can imagine, our favourite character is no other than Dr. Sheldon Cooper – a nerdy theoretical physicist who struggles with basic human interaction and is hence a hilarious character. This is why we got beyond excited when we found out that CBS has confirmed Young Sheldon – a prequel to The Big Bang Theory. In it, we’ll follow the story of Sheldon Cooper as a child-genius growing up in a religious family in East Texas. 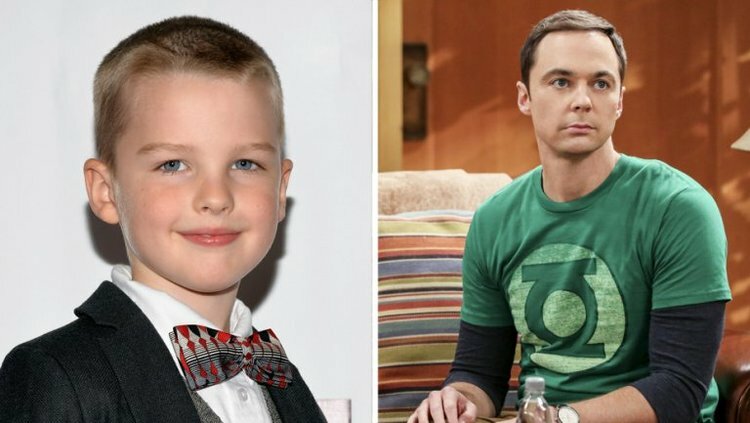 The star of Young Sheldon has already been cast: the role of the 9-year old prodigy will be played by Iain Armitage. Zoe Perry will take on the role of Sheldon’s mother, Mary Cooper, originally played by Laurie Metcalf – Perry’s mother. While Jim Parsons will not be in the spotlight, we’ll still get to see, or rather – hear him a lot as the show will be narrated by him. According to The Hollywood Reporter, we will also get to see Lance Barber in the role of George, Sheldon’s father; the incredibly cute Raegan Revord as Missy, Sheldon’s twin sister; and Montana Jordan as George Jr., Sheldon’s older brother. We are very excited to see Iain Armitage’s adorable little face and the entire cast on the blue screen but the good news is, we won’t have to wait long: the show is expected to air during the 2017-18 season. Dr. Cooper’s childhood has been brought up on numerous occasions throughout the 10 seasons of The Big Bang Theory. Sheldon’s friends would often try and find an explanation for his quirks in his upbringing – Jim Parson’s character is sometimes just too weird to just be weird. The first assumption that pops into one’s mind is that a dreadful childhood experience made him the idiosyncratic nerd that he is – hence the iconic phrase “I’m not insane, my mother had me tested”. We’re hoping that “Young Sheldon” will shine some light on that, so we can get an even deeper understanding of Sheldon’s character and personality. If you have been following The Big Bang Theory, you must have noticed the transformation that Dr. Cooper has been undergoing throughout the show. The more the show progresses, the more Sheldon evolves. At the beginning of the series, he is portrayed as an almost unbearable (almost) human being set in his ways – often a nuisance for anyone around him. In season 10 of the show, Sheldon is milder, more aware of his social incompetence and working on fixing that. He is in a steady relationship with Amy Farrah Fowler (Mayim Balik), and has made peace with the concepts of personal space and flexibility (well, sort of). It would be fun to “go back” and see a more peculiar version of the character again, so fingers crossed the plot line goes there. Young Sheldon is created by Chuck Lorre and Steven Molaro, and will be shot by a single camera. The pilot will be directed and produced by Jon Favreau, and as we said, we’re expecting to see the first episode some time in 2017/18. What is your favourite Sheldon Cooper moment? Let us know in the comments!